There’s a wealth of complimentary sports facilities waiting to be discovered among the trees in our verdant tropical garden. You can play a few sets on the tennis court or practice your dribbling and dunking skills with the kids on the basketball court. 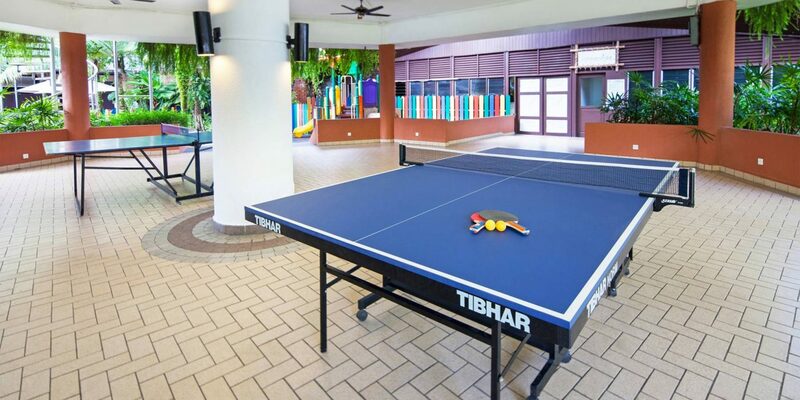 The latter can also host volleyball tournaments, the perfect solution for families looking for fun ways to spend time together in Penang. After an energetic workout, the nearby Kelapa Coffeehouse & WiFi Bar is the perfect place to relieve your thirst. It offers an array of cooling refreshments, from fresh juices to ice-cold beer.